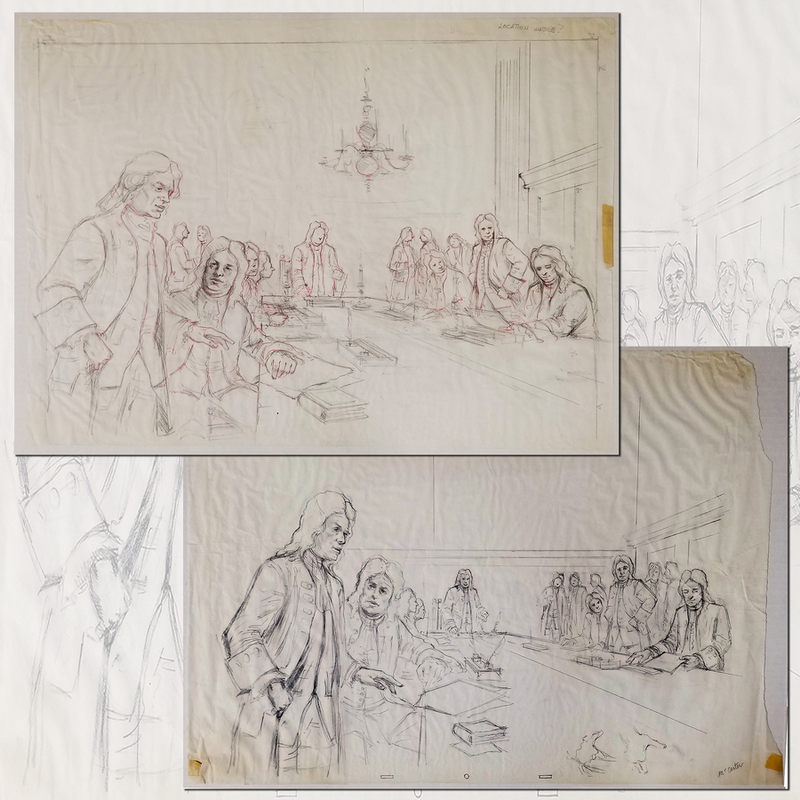 This is a pair of original concept design drawings created by Disney Imagineer Clem Hall while working on EPCOT at Walt Disney World. 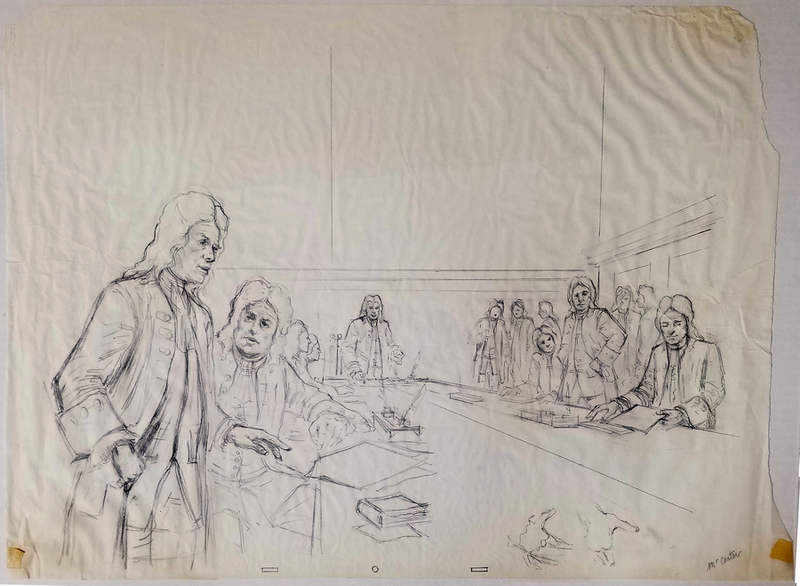 Hall created imagery for use in the American Adventure attraction, Space Mountain, Bit Thunder Mountain, and the various world pavillions at the WDW and Disneyland theme parks. 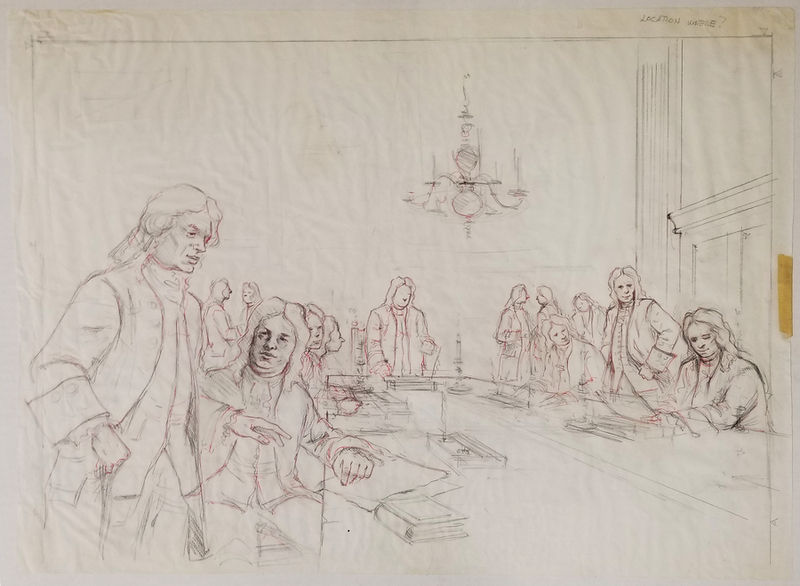 These particular drawings depict imagery that looks to be from the development of the American Adventure with a scene from the signing of the Declaration of Independence. The pieces measure 20.5" x 28" overall with the main image area measuring 14" x 26". The pieces are in overall very good condition with edge wear that would be expected in concept art that is being handled by an artist.